A: An old college friend knows I like both horses and strange 19th-century ephemera, so she sent me an article about the exploding mule through social media. I think it may have been Scientific American‘s own blog. Everything about the idea haunted me, especially the 19th-century version of the magazine’s cold, clinical tone when discussing the event, like the photography experiment was the part that mattered, not the animal’s life. I needed to write that mule a friend. A: This is the rare story that was drafted in one sitting. As soon as I read the original articles about the incident (using C19: The Nineteenth Century Index, a historical fiction writer’s best friend), I was off to the races. The narrator’s voice came really easily because I’d been reading a lot of period novels for my grad school exams. I liked the idea of a bystander feeling this tension between military authority and empathy for a fellow creature. A: I love women who write weird short fiction about animals: Lydia Millet, Karen Russell, and Hannah Tinti are all heroes in constant rotation. John Haskell and Steven Millhauser are also fascinating to me in terms of form and spectacle, and how to write about the past without losing sight of plot. I also read a lot of cultural histories about the 19th century — the more obscure and bizarre, the better. Q: Your story is set in the late nineteenth century. How has our treatment of animals evolved since then? A: Readers of Scientific American in the late 19th century viewed this event as a curiosity, the product of industrial ingenuity. The mule’s life meant nothing, because a mule was by definition a tool, a thing to be used, not a sentient being, as we might view it now. By contrast, in the 21st-century blog about the photograph that I initially read, the tragic nature of the event was front and center. With the public megaphone of the Internet, I find it hard to imagine that the kind of “animal testing” that occurs in “Shooting A Mule” would go unprotested if it happened today. Now when an animal is hurt in a high-profile way, as this mule was, the story goes viral. Still, despite greater awareness of abuse, real legal protections for animals (especially domestic ones) in the United States have a long, long way to go. Q: How does photography affect our view of animals? When you think of graphic photos like the one in your story, do you think it leads to greater empathy, or desensitization? 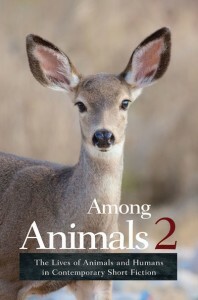 A: Human ideas about other animals are wholly informed by representation. Photos, films, and cartoons do so much to influence our thoughts about what animals are or should be. When it comes to graphic portrayals of violence against animals, seeing a barrage of images of animal abuse can be desensitizing. I think about how my composition students always laugh uncomfortably at the ASPCA’s Sarah McLachlan-soundtracked PSAs when I show them as an example of pathos in advertising. They do feel empathy watching the commercials. They care that animals are suffering. But there’s something about seeing those images so many times that has dulled the commercials’ impact, and turned it into this nervous joke. Save The Children ads have the same problem. I hemmed and hawed about whether or not to include such a shocking image in “Shooting A Mule,” but felt readers needed to see what these men were aiming for in the name of science: what the mule’s life amounted to in the end. Its power is in its singularity. It’s not something you see every day. A: When people think about animals suffering for human inventions, they think of medical applications, mostly, wonder drugs and the like. I hope this story reminds them just how capricious humans can be about animal lives when science (any science) is used as an excuse. The victim being a mule just adds to that; it’s a creature that wouldn’t exist without human intervention. Q: Is the mule based on anyone? A: Yes, Wylie, a mare mule who was a beloved herd fixture at Cedar Creek Therapeutic Riding Center in Columbia, MO, where I worked as barn manager for eight years. I borrowed a lot of her mannerisms and behavior, trying to do the animal justice through observation instead of relying on stereotypes. Miss Wylie taught me that mules get a bum rap.